Boulangerie. Deli. À La Carte. Welcome to Stripped. Our brand new outlet offers a range of exciting new features you won’t find at our other locations. Showcasing a boulangerie, an à la carte menu, and an interactive food lab, we’ve taken things to a whole new level. Pop in and relax up on our beautiful indoor terrace, take in our bespoke décor, and enjoy the experience. What could be better than a steaming cup of freshly-roasted coffee with a baguette topped with butter and jam? 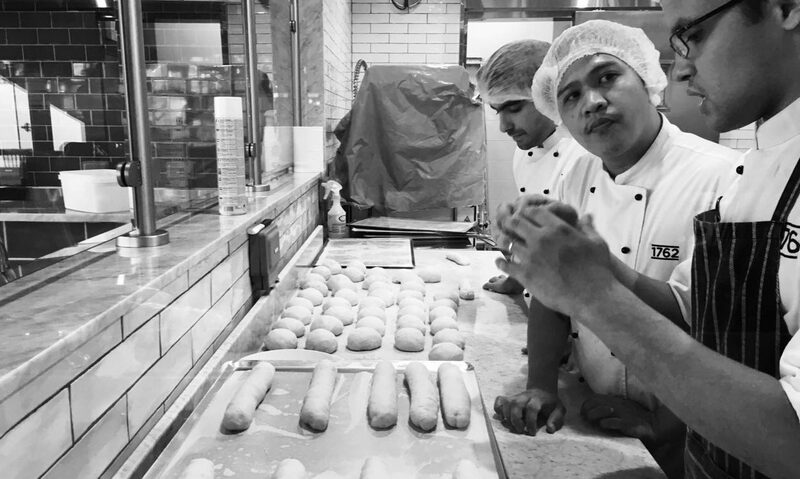 Our boulangerie offers freshly baked delicacies every day. With a fantastic selection of breads and pastries, you’ll even want to take some home, and we’re more than happy to indulge you. Here, you’ll find everything from hearty soups, gourmet sandwiches, pies and quiches to delicious salad concoctions, cakes, and slices of our naughty-but-nice millionaire’s shortbread. Or, you can try out one of our freshly-baked scones with jam and cream, a perfect accompaniment to a cup of our special blend of coffee.